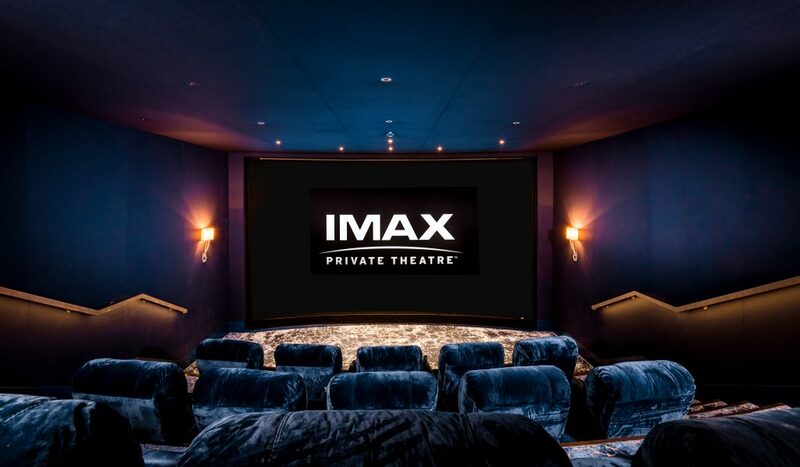 We’ve installed the UK’s first private IMAX home theatre in a residential home in London. The luxurious 15-seat cinema- providing the ultimate in immersive family viewing – has three tiers of seating and a 5.5m wide floor-to-ceiling curved IMAX screen. Plush reclining seats are equipped with professional 3D glasses (in a range of adult and child sizes), while a Dual 4K (2D/3D) projector is teamed with IMAX®’s proprietary sound system to deliver jaw-dropping images and sound. 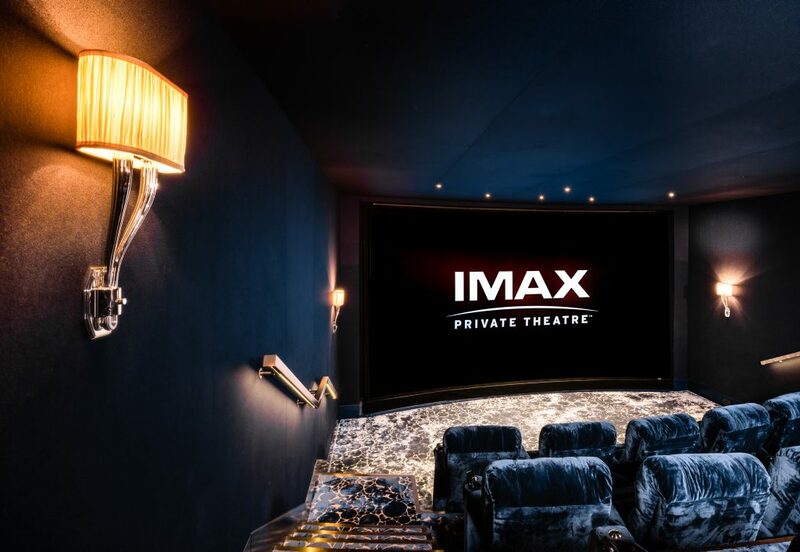 Built deep below ground, the £1 million IMAX home theatre was created by our skilled team of engineers who undertook hours of careful acoustic calibration work to ensure the perfect cinematic conditions. The cinema is also completely sound-proofed to mitigate noise being heard elsewhere within the property. Cornflake’s senior cinema designer Mark Withers says: “A private IMAX is the pinnacle home entertainment system. Discerning property developers and homeowners have been asking for all-encompassing technology for some time and we expect it will prove highly popular in the super-prime property market. Every day the cinema receives an automatic smart image calibration check, plus there is 24/7 remote system performance monitoring to guarantee perfect sound and vision every time the room is used. The technology is operated with a touch-screen control pad and has a media server, a Blu-ray™ player and can support many additional sources such as DVD, CD, streaming, gaming and karaoke. Fancy your own IMAX home theatre? You’ll need a space around 80-150m2 (480-760sqft) and a ceiling height between 2.4m-3.8m. Costs vary, dependent on how much building work is required and the elaborateness of the interior design scheme. This particular Cornflake installation cost a cool £1m as it features top-of-the-range finishes, including bespoke carpeting, seating and fabric created specifically for the client. 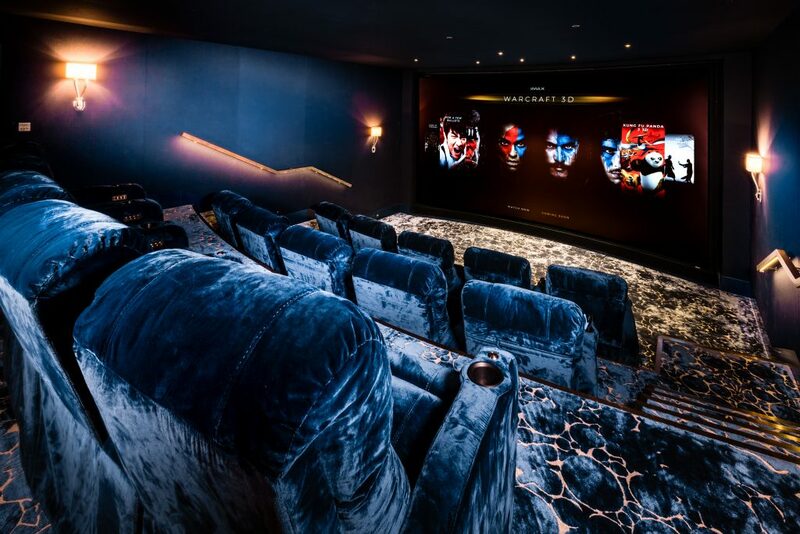 Withers sums up: “You obviously do not have to spend a million to create a good quality home cinema but if you’re a movie aficionado dreaming of relaxing in your own private IMAX then expect to invest substantially and do comprehensive research. If possible, try-before-you-buy with a demo by a CEDIA-accredited installer so you can review different screens, projectors and speakers”. Cornflake has a commercial-grade benchmark cinema in our London showroom where clients can watch a film and road test equipment. Visits are strictly by appointment; call 020 7323 4554 to book a viewing.